We’ve all had that moment: You’re aimlessly scrolling through Instagram when you stumble upon a series of posts from your secret nemesis (the one with the super-clear skin and effortless style who somehow aces all their classes without trying) documenting a perfect weekend away from campus with their smiling squad or significant other. Fine. But there’s no reason you shouldn’t be the one showing off a perfect weekend trip. In the table below, we’ve listed every city you can get to from Ann Arbor, Michigan, for less than $75 by bus or train. As you can see, it’s easy to get from Ann Arbor to a ton of great destinations without breaking the bank. Here we highlight 10 of the best bus and train trips you can take to provoke FOMO in even the most unflappable nemesis. You can get from Ann Arbor to each of these first six destinations for less than $50. 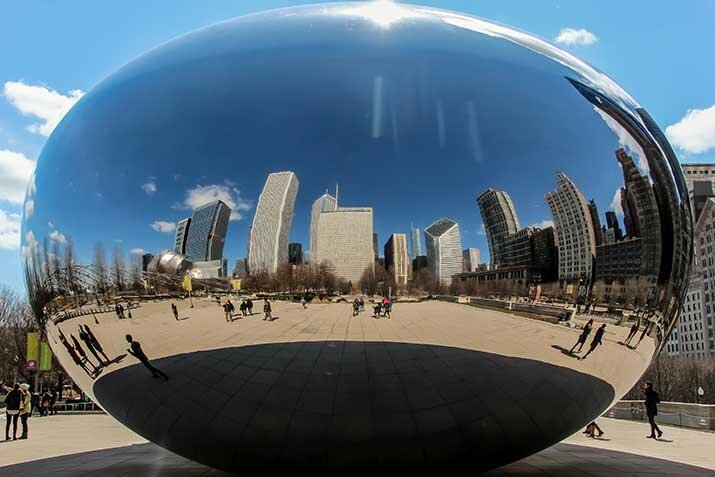 Chicago is a terrific city for music, with Lollapalooza in the summer and popular concerts year-round. You can also immerse yourself in the 1920s at jazz clubs like The Green Mill, once frequented by Al Capone and other gangsters, or by taking a Crime Tour to learn about Prohibition-era gangsters. Other Chicago classics include the Lincoln Park Zoo, Chicago-style hot dogs, and, of course, deep-dish pizza. 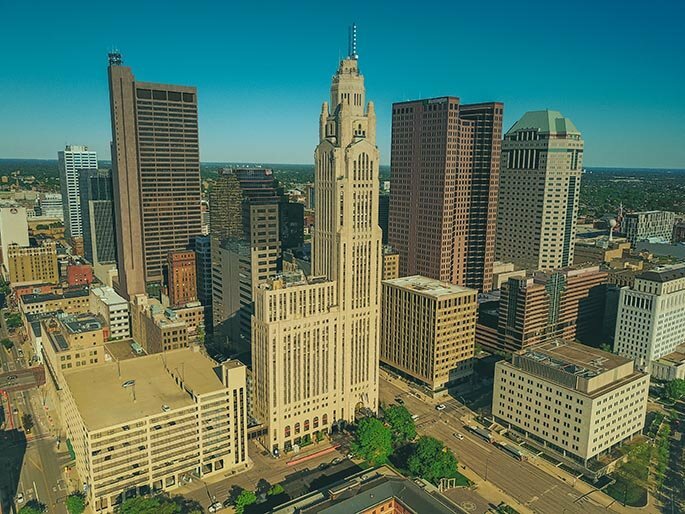 Yes, you’re from Michigan, but hear us out: Ohio’s capital city is about more than just OSU football. OK, it’s a lot about OSU football. But there are plenty of other non-pigskin activities to enjoy. 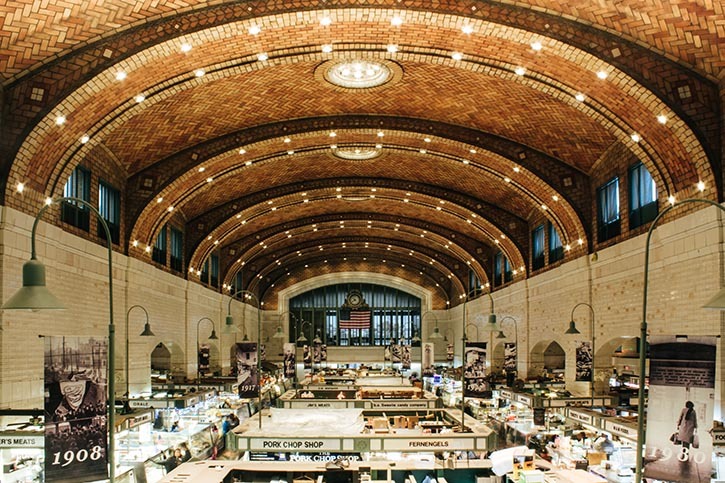 If you’re into the arts, check out the Short North district and visit the nearby North Market for a snack (vendors include Jeni’s Splendid Ice Creams, a C-bus classic). If you find yourself in the area, take a stroll through the parks and brick streets of German Village and stop at The Book Loft, an independent bookstore that boasts 32 rooms of bargain books. And, if you really can’t stay away from sports, head to the Arena District to catch the Columbus Blue Jackets on the ice, or take a tour of the Horseshoe, where you can yell, “BUT WHERE DID TOM BRADY GO?” every time your guide mentions an Ohio State alum. 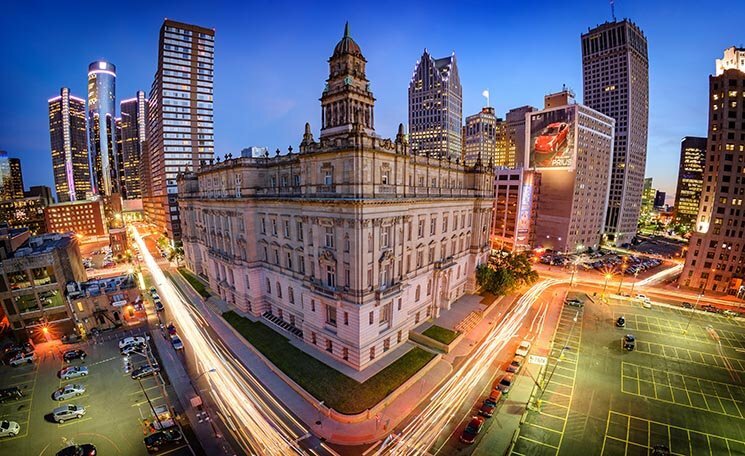 Detroit is the place to go for all things M: motors, music, murals, museums, and more. After all, you are in “motor town” (wait, that’s what Motown means? ), so the Henry Ford Museum and the Motown Historical Museum are both a must-hit. For even more music, jazz club Cliff Bell’s offers classic cocktails and an art deco style. Cycle through the Eastern Market District with Murals in the Market to view more than 125 wall paintings, and then stop by the Detroit Institute of Arts to see the frescos that Diego Rivera considered his most successful work. For a uniquely Detroit experience, top off your trip with Dabl’s MBAD African Bead Museum for outdoor installations and a bead gallery. Grand Rapids may be known as America’s Furniture Capital (apparently), but it’s also a perfect trip for architecture enthusiasts. The Heritage Hill historic district features homes that date back to 1843 in an array of American architectural styles, including Frank Lloyd Wright’s Prairie-style Meyer May House. At the Public Museum, peer into the past with a walk through 11 life-size recreations of Grand Rapids shops and buildings from the 1890s. The buildings were made on a three-quarter scale, so they’re the perfect ego-boost, making you feel taller than you really are. 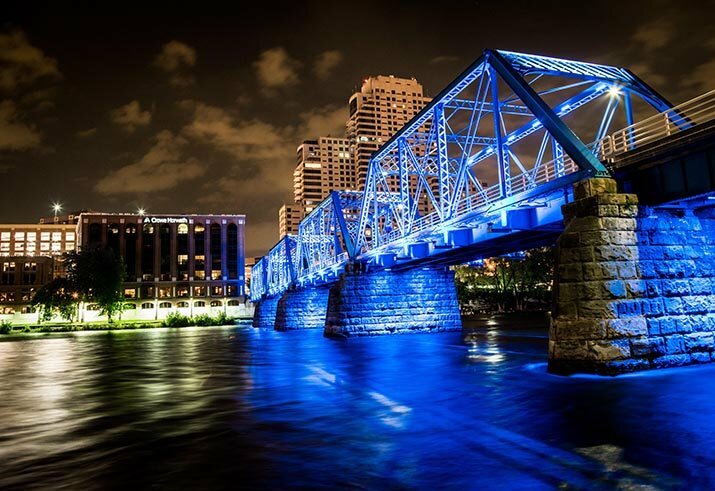 Fun fact: Grand Rapids usually has the cheapest concert tickets in the U.S., so maybe you should check out if any of your favorite performers are in town for an even more awesome experience! Big cities like Chicago and San Diego may be more well-known for their zoo scene, but why go farther than the Glass Capital of the World to ogle an orangutan? The Toledo Zoo is one of America’s favorites. Toledo also offers one of the best frankfurters in America: the Hungarian hot dog at Tony Packo’s Café, made famous by the 1970s hit TV show “M*A*S*H.” This sausage is served with mustard, onions and Packo’s proprietary “hot dog sauce,” a blend of spices and ground beef that’s basically just a pile of delicious chili all over your weiner. For true budget travelers, keep the price of this little excursion at a low by heading to the Toledo Museum of Art and the Glass Pavilion, both of which are free to the public. With or without Lebron James, Cleveland is still “Believeland” and it’s well worth the trip. 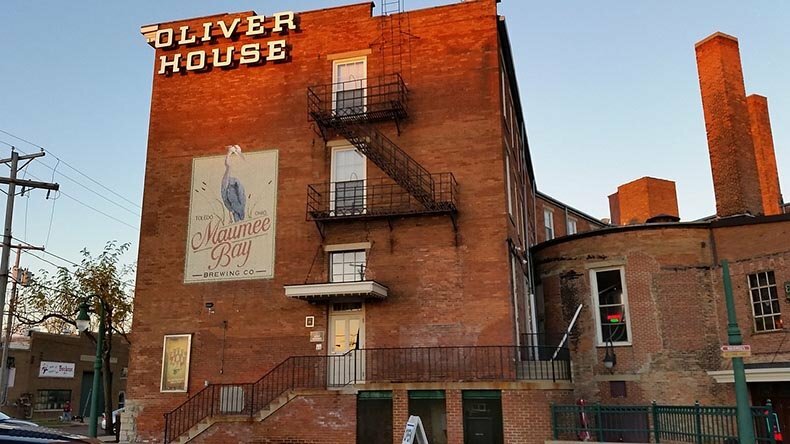 The first city ever to be fully lit by electricity—and, several times, by its flaming river—Cleve has a number of unmissable attractions, like The Rock & Roll Hall of Fame, the West Side Market and the house where A Christmas Story was filmed (complete with leg lamp in the window). The city also takes competition quite seriously, with a number of bars dedicated to gaming of all types: Tabletop for board games, 16-Bit for classic arcade games, Punch Bowl Social for bowling, and The Side Quest for “all things geek, nerd and pop culture.” Then there’s pinball at Happy Dog, though the bar is better known for its live music and gourmet hot dogs, with topping options that include chorizo chili and SpaghettiOs. The following destinations are slightly more expensive (up to $75), but still an awesome deal when compared to flights. So maybe you’ve heard of the local theme park. 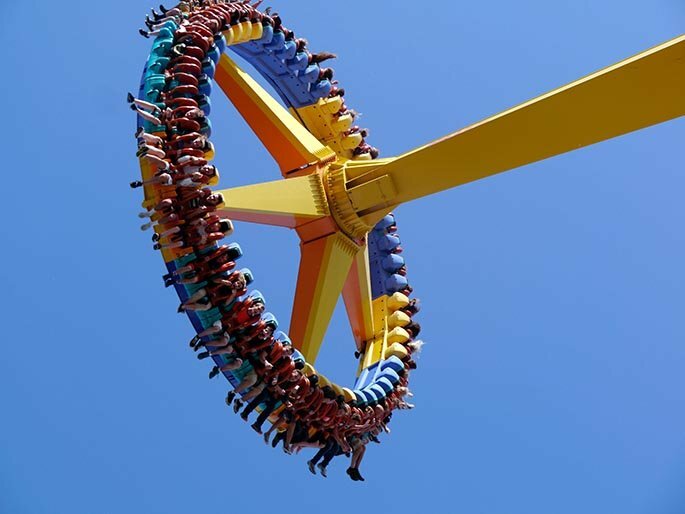 Cedar Point, anyone? Seriously though, CP lives up to the hype: If you like roller coasters and waterslides, there really is no better destination in the Great Lakes region (and, arguably, the entire U.S.). Sandusky boasts additional outlets for fun, many of which take advantage of the city’s position on Lake Erie. Airboats, sunset cruises, parasailing and an assortment of other water activities are all available. Bonus: Sandusky is also home to the indoor Kalahari Waterpark, ideal for rainy days. Other options include a visit to the Merry-Go-Round Museum (Sandusky really likes theme parks and carnival-style rides), Lagoon Deer Park or the Follett House Museum for local history. Pssst: Word is that Toft Dairy has the best ice cream in town. For most, the University of Notre Dame is the biggest draw of South Bend. The football team for this Catholic school has countless fans who a) didn’t go to Notre Dame, b) aren’t Catholic, and c) aren’t from Indiana. But we’ll bypass that attraction because, c’mon. Fighting Irish football? Ew. 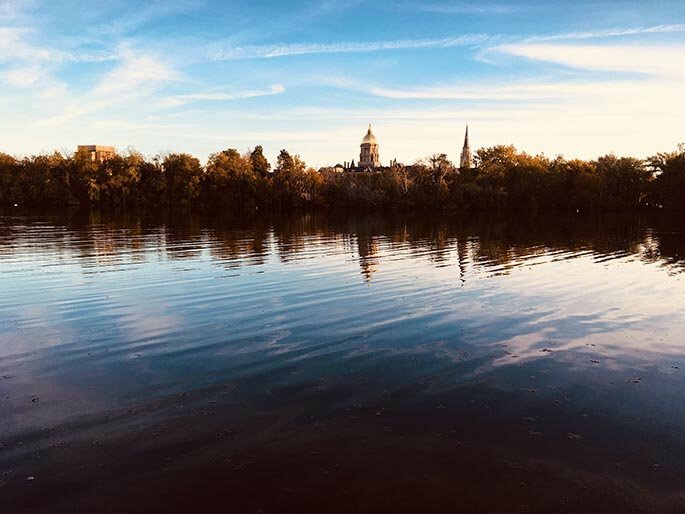 Instead, explore the gorgeous Notre Dame campus—especially the Basilica of the Sacred Heart, which with its 44 stained-glass windows draws north of 50K tourists per year. Off-campus, you’ll find the Studebaker National Museum: If original horse-drawn carriages and classic hot rods spark your plug, then you’ll get a kick out of this museum’s collection, which features the Barouche that Abraham Lincoln rode in the night he was assassinated. If you visit in the summer, bring your swimsuit and stop by the East Race Waterway, the first artificial whitewater-rafting course in North America. And who won’t enjoy tours (and tastings) at the South Bend Chocolate Company? Traverse City has all the shopping, hiking, art and water sports you’d expect to find in a city along Lake Michigan. What really sets this region apart, though, is the climate—the environment is perfect for growing cherries and wine grapes. Cherry Republic has expanded into Ann Arbor, sure, but only Traverse City has the National Cherry Festival in the summers. And even better, here you can take winery bike tours (or snow shoe tours in the winter) with Grand Traverse Bike Tours. If you’re feeling particularly adventurous, channel your inner thrill-seeker and explore the former Traverse City State Hospital, aka the former Northern Michigan Asylum. 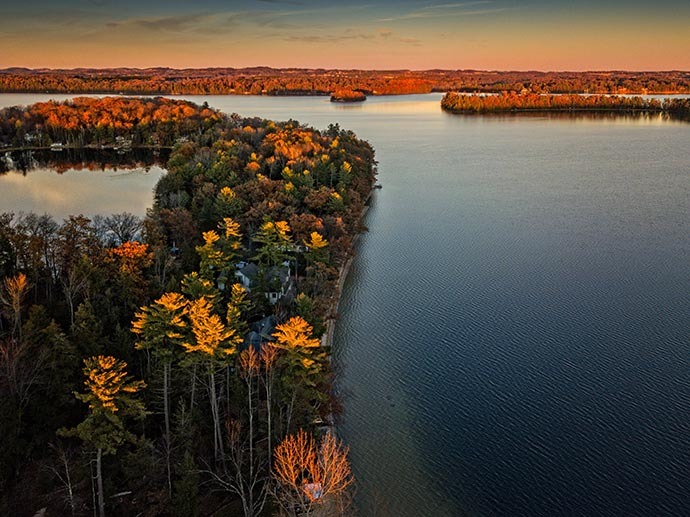 Now known as The Village at Grand Traverse Commons, the one-time mental hospital boasts shopping, dining, regular events and even living spaces. You’ll feel ready for those above-ground activities after touring the brick steam tunnel built in 1883, along with other unrenovated asylum buildings. If you’re desperate for relaxation, this resort community is the place to be. 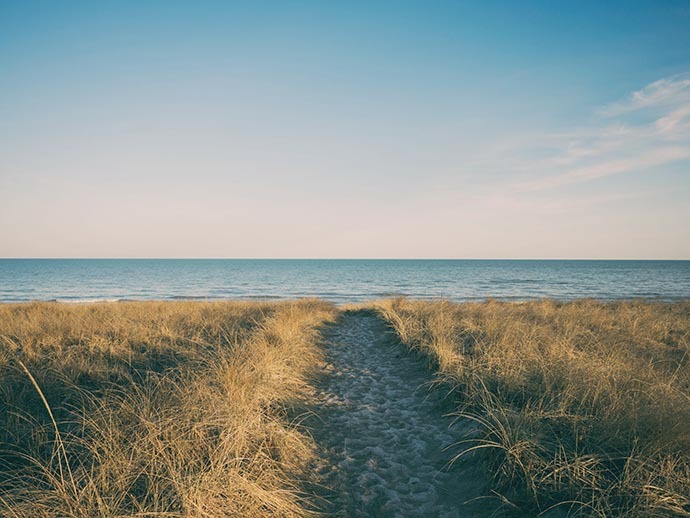 Called the Riviera of the Midwest, St. Joseph has beaches, parks, shopping and beautiful views of Lake Michigan from its position on the bluff. This idyllic locale also boasts the North Pier lighthouse, restored in 2016. If you grow tired of relaxing (really? ), there’s also hiking, kayaking, golfing, the Heritage Museum and Cultural Center, and … OK, basically just more relaxing. Which, honestly, sounds like a pretty great reason to visit on its own. 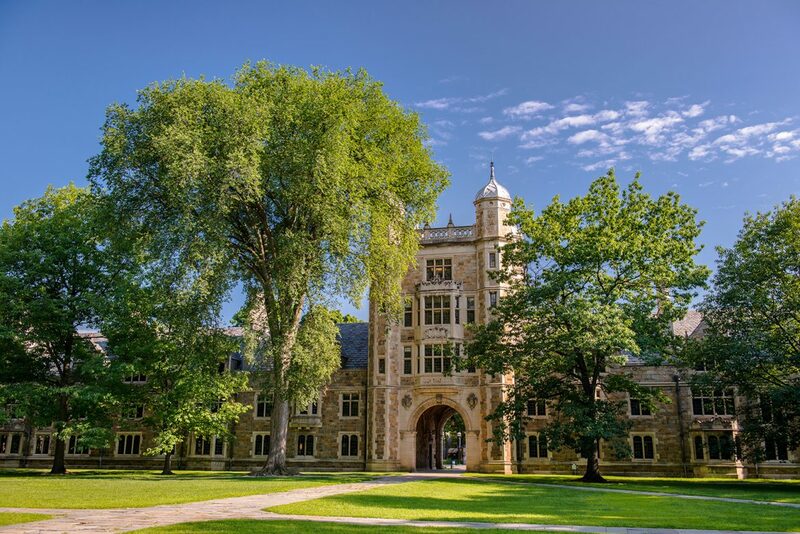 Whether you’re in the market for a group trip to show off on social media or a relaxing weekend away from campus with your flame, Wanderu can take you from Ann Arbor to wherever you’d like to go. Use our Explore search tool to discover even more destinations: Simply plug in a location of origin, a date and a price and we’ll spin up results that fit your timeline and budget. Karen Krumpak has eaten her way through the flavors of Europe (when she’s traveling, you’re likely find her visiting the local grocery stores and markets) and hopes to someday experience the cuisine on other continents. In the meantime, Karen is a freelance writer and editor with a soft spot for cookbooks that help her explore other cultures and countries from her own kitchen.